I am a native San Antonian and life-long Catholic, passionate about my faith, with devotions to the Blessed Sacrement, Our Lady, and the Holy Trinity. As the Public Relations and Outreach specialist at Pilgrim Center of Hope, I am able to use my background in journalism, broadcast communications, and public relations to guide people to Christ. My favorite saints are Pope St. John Paul II, St. John the Evangelist, St. Therese, and St. Louis de Montfort. Today’s society touts “doing your own thing” as the key to happiness, whereas the Catholic Church has always promoted responsible freedom as the way to growing in character & virtue and ultimately realizing God’s plan for each of us. Why is this authentic freedom? A passage from Bishop Robert Barron’s book, Catholicism – A Journey to the Heart of the Faith, does an excellent job of explaining what freedom is about. Bishop Barron uses the lives of William Shakespeare and Michael Jordan to illustrate how extensive study, practice, listening to others, and discipline propelled both men to greatness and freedom & flexibility in their crafts. St. Pope John Paul II once said, “The Lord is waiting for you to put your freedom in his good hands.” We do not come to Authentic Freedom, by doing whatever we want. It’s all about ordering our heart to please God alone. This takes a commitment to mastering the basics of our Catholic faith. Perhaps the perfect start or encouragement for you to grow in Authentic Freedom is Pilgrim Center of Hope’s new, nine-part series. Beginning on April 6, Pilgrim Center of Hope will provide you with a wonderful opportunity to encounter Jesus through common needs & wants we all experience. Meet the Master will offer a morning of reflection on every first Saturday of the month through December 2019. We invite you to Meet the Master! This is true Authentic Freedom, responsible freedom, a freedom that will enable you to go from good to great in your faith. At Pilgrim Center of Hope, we’re here to help you live your daily journey in hope. Let us journey with you. VisitPilgrimCenterOfHope.org. If you are in the San Antonio area, come visit us! Call us about our Meet the Master series of Saturday morning reflections: 210-521-3377. Please note: Pilgrim Center of Hope is not responsible for, nor has any control over, any ads displayed on this post. This time of year always reinforces and reminds me of how vital it is to have a relationship with our Blessed Mother, the mother of Jesus. My hope is that after you read this blog, you will take courage and comfort when you hear the words, “To Jesus Through Mary,” and every time you pray a Hail Mary. As she was given the grace to be free from the stain of original sin, as the Mother of God, and as the spouse of the Holy Spirit, Our Lady holds a vital role in our salvation. Sunday’s Gospel reading about the Wedding at Cana should lead us to recognize that Jesus listens to his mother’s pleas—and that miraculous things which lead to our salvation, can happen when we turn to Jesus and, “Do whatever he tells you” (cf. John 2:5). The servants at the wedding turned to Mary for her help, and Mary led them to her son. In the same way, Mary leads us to Jesus, so that we may do his will. By turning water into wine, Jesus revealed himself as the Messiah for the first time: “Jesus did this as the beginning of his signs in Cana in Galilee and so revealed his glory, and his disciples began to believe in him” (John 2:11). That miracle would ultimately lead people to him and his message of salvation. Sunday’s second Mass reading from 1 Corinthians also reminds me of Mary’s special role as Mediatrix of all graces merited by Christ, originating of course from God the Father. To each individual the manifestation of the Spirit is given for some benefit…distributing them individually to each person as he wishes (1 Cor 12:7, 11). Mary’s soul magnifies the Lord (cf. Luke 1: 46), specifically, the Third Person of the Holy Trinity. So, to say “To Jesus Through Mary,” is to say, “To Jesus through the Holy Spirit,” because the Holy Spirit acts only in and through his beloved spouse. At the moment of her fiat or her yes, Mary became the temple of the Holy Spirit. from the Holy Spirit may I too have Jesus. through the same Spirit may my soul receive Jesus. and to bring him into the world. Through the Holy Spirit may I too come to know your Jesus. in the same spirit, Mary, let me love your Jesus. Amen. Evenings with Mary – We are offering mini-conferences available for parishes that lead individuals, couples & families to a deeper relationship with Christ by teaching about Mary, her gifts, and her role in the salvation plan of God & our daily lives. To learn more about Evenings with Mary or about Our Blessed Mother, we invite you to visit us at our peaceful place in NW San Antonio or at our website. Answering Christ’s call, we guide people to encounter Him so as to live in hope, as pilgrims in daily life. As Christmas draws ever so near, how many of us are truly focused on the significance of the Christmas mystery: the Incarnation of the Son of God? How many of us will “stay the course,” once the Christmas tree, Nativity scene, and the other decorations are put away? During this Advent season, I want to suggest 2 points to begin now that can help you stay the course, continuing to pursue your spiritual goals throughout the year, regardless of any obstacles that may arise. God announced the news of his coming—the greatest truth of all-time—to the lowest members of society first. The shepherds were uneducated, simple men with no power or influence (cf. Luke 2:8-20). In the same way, God comes to each of us, regardless of our state in life, and meets us where we are with the same invitation given to the shepherds, to come and adore him! This last week of Advent, leading to Christmas Day, is a time for all of us to be amazed; to be humble and open enough to receive him and welcome him into our lives. “God with us.” Not only has the Christ child come to be our savior; he has come to reveal God to us in the flesh (cf. John 1:14). By becoming man, he experienced life as a human-being with all its ups and downs. As such, he can sympathize with the disappointment, heartache, weaknesses, betrayals, and temptations that we all struggle with. You can trust in Jesus to console you and lead you through any storm that may come your way. So, on Christmas Day and every day, give thanks and celebrate that moment when God entered our humanity to walk with us and to stay with us until the end of time (cf. Matthew 20:28). May the birth of Christ the Savior renew hearts, awaken the desire to build a future of greater fraternity and solidarity, and bring joy and hope to everyone. All of us at Pilgrim Center of Hope strives to live this message. Our desire is to guide you to encounter Jesus; be it as the Christ-child, as the Messiah during his public ministry, or as the flame of love that comes to us through his Holy Spirit. We do this through pilgrimages, conferences & presentations, and media outreach; including print, digital, and broadcast media programs. Let us journey with you! Come visit our peaceful place in northwest San Antonio, or online at PilgrimCenterofHope.org. At one time or another we all have fixated on what’s wrong with our life, instead of running to the waiting arms of Jesus. When we are weary, we all need to be more like St. John and seek to rest our head on the chest of Jesus. Herein lies the strength we need to persevere with boldness, passion, and joy! When we are Christ-centered, it not only opens our eyes, but it gives us confidence and the ability to put our total trust in God, no matter what the crisis, challenges, or obstacles. Pilgrim Center of Hope is here to provide you with the life-lines (presentations, tools, and resources) that can lead you out of times of turbulence (problems and moments of self-doubt) to encounters with Christ that will restore order and hope in your daily life. Please join us for our next Day of Hope, on Thursday, November 29, from 10am until 5pm. You will have the opportunity to venerate relics of St. Padre Pio, including a glove worn by the Saint with blood from his stigmata. Mass will be celebrated at 9am. Click on the link above for details. Distractions are everywhere, from our “always on” culture bombarding us with information, to the political-divide in our country, to the pursuit of monetary gain and social status. And then there is contending with injustice, racism, and discrimination, not to mention keeping up with our family and work commitments. Let nothing disturb you. Let nothing make you afraid. All things are passing. God alone never changes. you will want for nothing. God alone suffices. When I was a young adult, before I came to know the “God Alone Prayer,” I let the smallest things disrupt my relationship with God and my spiritual life. Years later, whenever I am under pressure and short on time, I depend on God and prayer to see me through, because I have every confidence that God will show me the way. Aside from turning to this Pilgrim Log for your weekly inspiration, I encourage you to watch our weekly television program Living Catholicism, which airs on Tuesdays, from 11–11:30am on CTSA, Spectrum channel 15. Each week’s program includes a Message of Hope, an inspirational quote from Scripture, a pope, or a saint, that will help you to stay focused on God, so as to live in hope, as a pilgrim in daily life. Every day, Monday through Friday, between the hours of 8:30am–5:30pm, you are welcome to come and visit our Gethsemane Chapel for prayer before the Blessed Sacrament. Just outside our chapel, you will be greeted by an antique painting of St. Teresa of Avila holding a scroll with the “God Alone Prayer” in Spanish. In closing, I want to direct you to the powerful talk presented by Fr. Bruce Nieli at our recent 25th Anniversary Prayer Brunch. Fr. Bruce, Pope Francis’ Missionary of Mercy, will re-awaken you to the hope that God gives! A heart that loves God and neighbor (cf. Mt 22: 36-40), genuinely and not merely in words, is a pure heart; it can see God […] Keeping a heart free of all that tarnishes love: that is holiness (no. 87). Those are the words of Pope Francis, taken from his recent Apostolic Exhortation Guadete et Exsultate – On the Call to Holiness in Today’s World. At a recent taping of our new radio program Journeys of Hope, our Co-Founder and Co-Director, Deacon Tom Fox, spoke eloquently and passionately about trying to imagine what it must have been like when Jesus Christ looked into the eyes of Matthew and said, Come, follow me (cf. Matthew 9: 9-13). Matthew was a tax collector; individuals who were looked down upon and treated like prostitutes and the worst of sinners. So, we can imagine Matthew’s surprise when Jesus singled him out. In this instant, Matthew realized, “Christ is calling me! …He knows me! … He loves me!” The words and the look of Jesus must have washed over Matthew with such warmth that he was overcome by the love, peace, and mercy of Christ. It is this type of transformative grace that Jesus wants all of us to experience! But in order for the Look of Christ …the Gaze of God… to bear fruit, we must respond with conviction and say, Lord Jesus, be the Lord of my life. You shall love the Lord, your God, with all your heart, with all your being, with all your strength, and with all your mind, and your neighbor as yourself (Luke 10: 27). As Christians, our priorities should be as follows: God, Family, Church, Country, and then Work. Unless you let him warm you more and more with his love and tenderness, you will not catch fire. How will you then be able to set the hearts of others on fire by your words and witness? 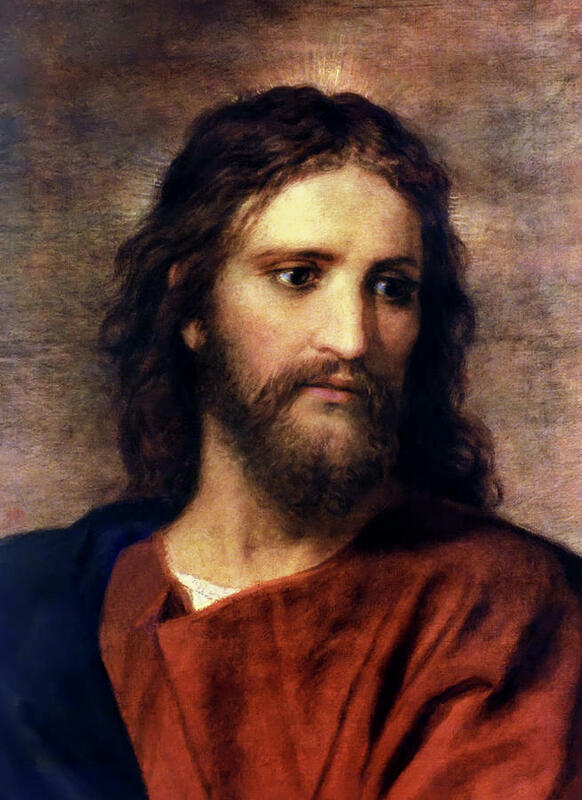 If, gazing on the face of Christ, you feel unable to let yourself be healed and transformed, then enter into the Lord’s heart, into his wounds, for that is the abode of divine mercy (Gaudete Et Exsultate, no. 151). I wish everyone reading this the peace and love of Christ. May you see and experience the Gaze of God. Every month, Pilgrim Center of Hope offers opportunities to experience God’s love and grace. We invite you to pray before the Blessed Sacrament at our Gethsemane Chapel, also consider our Afternoon Tea with St. Robert Bellarmine (9-13-18) or our Day & Evening of Hope; venerate a stone from Mount Calvary (9-27-18). For times and schedules visit our website at PilgrimCenterofHope.org. Answering Christ’s call, Pilgrim Center of Hope guides people to encounter Him so as to live in hope, as pilgrims in daily life. As you read this, the Fighting Irish of Notre Dame are in the last couple of weeks of preparing for their first game against Michigan on September 1. I am a diehard fan. I attended ND, and my older brother is a graduate. Over the years, I have always ‘kept the faith,’ through the great and not-so-great seasons. As the motto goes, God, Country, and Notre Dame! Keeping the Faith is all about continuing to believe in someone or something especially when it is difficult to do so. Faith is our spiritual theme for August. We begin this month by celebrating the Transfiguration of Our Lord. We will conclude the month by marking the feast days of St. Augustine (8-28) and St. Monica (8-27). Not only do the Transfiguration, St. Augustine, and St. Monica provide us with examples of what ‘keeping the faith’ is all about, but they also should encourage our belief in God. While he was praying his face changed in appearance and his clothing became dazzling white…This is my chosen Son; listen to him(cf. Luke 9: 28, 35). It was in this moment that the spiritual glory of Jesus became visible to Peter, James, and John. In Latin, trans means across and figura means form or shape. His appearance changed and became glorious! The Catechism of the Catholic Church reveals to us how this inspired the three Apostles to keep the faith: Christ’s Transfiguration aims at strengthening the apostle’s faith in anticipation of his Passion: the ascent onto the ‘high mountain’ (Mt. Tabor) prepares for the ascent to Calvary (CCC 568). Aside from preparing the three for what was to come, the Transfiguration also connected them to God…that was God’s voice in the cloud. Sometimes God gives us similar special experiences of his grace to strengthen our faith. These moments are intended to sustain us when we face the challenges of life. On the one hand St. Monica is the epitome of not only keeping the faith, but never losing it. Despite the licentious and adventuresome youth of St. Augustine, his mother St. Monica never wavered in her constant and persistent prayer for him. The example of St. Monica should offer each of us hope, encouragement, and inspiration, when it comes to maintaining our faith and trust in God, when faced with what appear to be hopeless causes. On his road to conversion, St. Augustine asked all the big questions, like who is God, and who am I? Throughout his early life Augustine struggled with family, friends, meaning, and purpose. Sound familiar? What he discovered is that the Christian life is a journey that we walk by faith. St. Augustine once said, our whole business therefore in this life is to restore to health the eye of the heart whereby God may be seen. Because of St. Monica’s prayers, God moved in St. Augustine’s life. God is moving – always – in our own journeys as well. Sometimes we don’t realize it, but we are all on the journey to God – one in mind and heart. Since the beginning of the 20thCentury, the faith in Notre Dame – the University and the football team – has been so strong that it has created a mystique that is palpable. I’ll never forget the first time I stepped onto the campus at age 12…it was as if the air was charged with electricity. Faith and belief in God can be quite powerful, we just need to let it flow! You’re invited to Day’s and Evening’s of Hope! The relic of St. Thomas Aquinas, Doctor of the Church, will be available for veneration at Pilgrim Center of Hope’s Gethsemane Chapel! Join us on Wednesday, August 22nd, from 12:30 – 4:00 p.m. and 6:00 – 8:30 p.m.
Is Your Daily Schedule Founded on Christ? Those are the words of St. Augustine, who before having a profound conversion, lived a sinful lifestyle, which included living with a mistress and fathering a child out of wedlock. In today’s society, it’s easy to get out of touch with God and our faith. For too many, the spiritual life has gotten deferred and neglected in the midst of worldly occupations, pleasures, pursuits, and distractions. A Gallup report, released earlier this year, indicates that between 2014 and 2017 only about 39-percent of Catholics attended church in any given week. That’s down from 45-percent between 2005 and 2008, and way down from the 75-percent of Catholics who reported going to Mass on Sunday’s in 1955. The Catechism of the Catholic Church tells us that, Just as God “rested on the seventh day from all his work which he had done(Genesis 2:2),” human life has a rhythm of work and rest. The institution of the Lord’s Day helps everyone enjoy adequate rest and leisure to cultivate their familial, cultural, social, and religious lives (CCC, no. 2184). When asked why they don’t go to Mass, read the Bible or pray, many people will say they just don’t have the time. The downward trajectory of Sunday Mass attendance by Catholics who have pushed aside keeping the Sabbath holy, speaks to the need for balance and temperance in everyday life, our theme for the month of July. Balance is important, Pope Francis said, for protecting individuals, their families, society and the environment. The balance Pope Francis speaks of is contingent on Christ being at the center of our daily life. When I have spent time daily focused on God, He has multiplied my time (enough to go around) just as Jesus did with the fishes and the loaves that fed the multitude (cf. John 6: 1-15). Ultimately, we need to clear away all the obstacles that hinder us from drawing near to Christ. Throughout the day, there needs to be a steady flow of nourishment for our soul. How we start the day is crucial to keeping our soul from withering. Conquer yourself each day from the very first moment, getting up on the dot, at a set time, without granting a single minute to laziness. If with the help of God, you conquer yourself in the moment,you have accomplished a great deal for the rest of the day(The Way, no. 191). Over the years I have added the Rosary to my daily prayers. I also have a spiritual advisor (a priest or deacon) to guide and advise me. My routine took time to develop, but boy am I glad I did. Having a daily spiritual routine has enabled me to grow in faith and in my relationship with Jesus Christ. Developing a daily spiritual routine is a gradual process to always be seen as a work in progress. Ultimately, the goal should be to find ways to have God at the center of your daily life, and to contribute to that relationship through prayer, Scripture and other spiritual practices, so as to grow in faith and holiness.